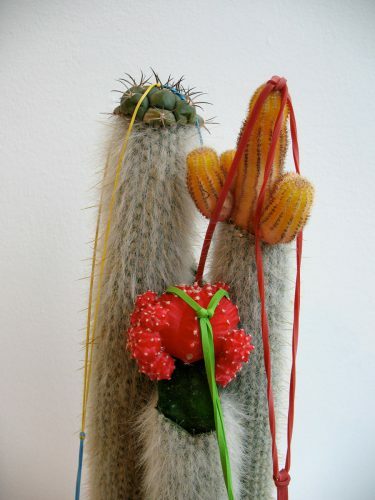 Grafted cacti are monstrous and delightful parasites, horticultural ornaments and life-support systems. 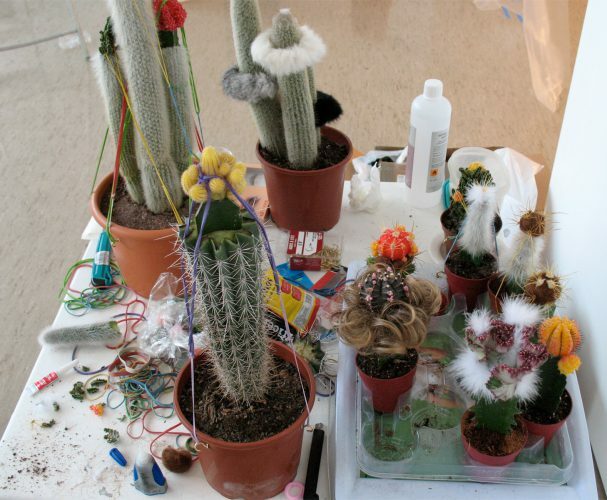 Fluorescent cacti are mutants that lack chlorophyll and cannot feed themselves. They are rely upon other cacti for their food and they also must depend upon humans to physically graft them onto the other cacti. 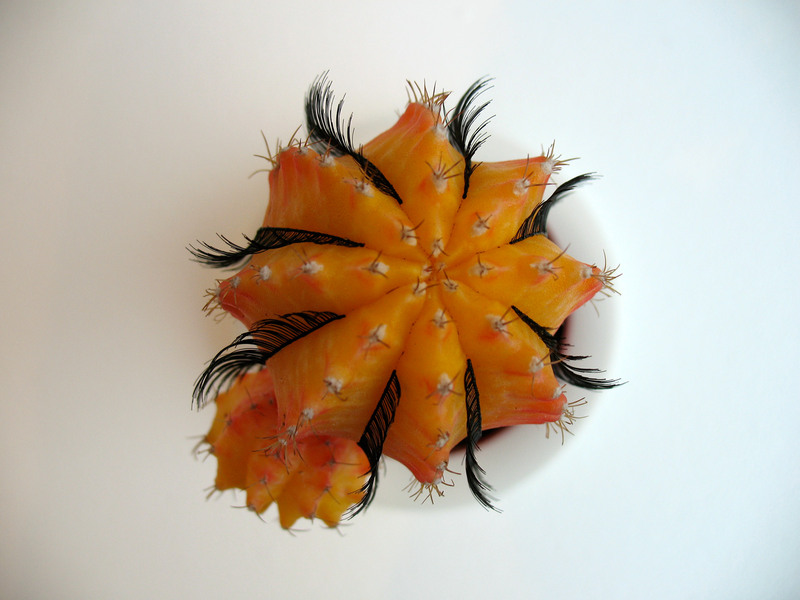 We play a key role in the survival of this cute mutant parasite. 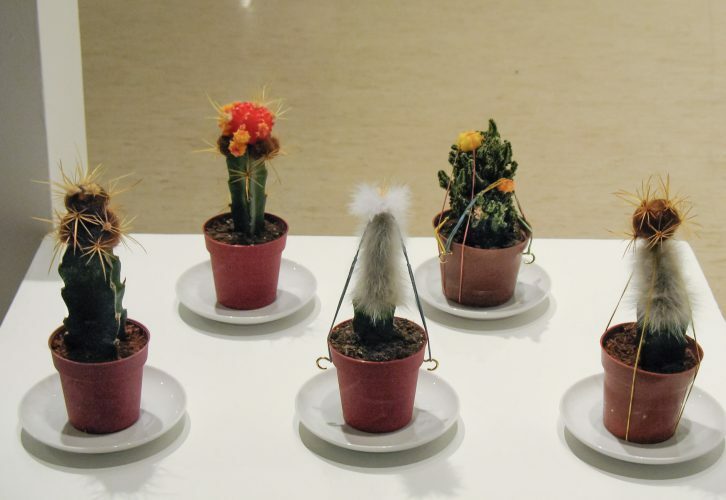 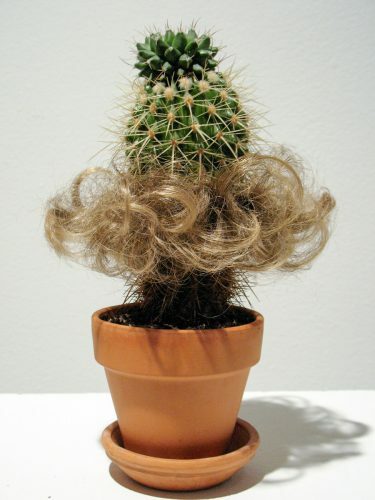 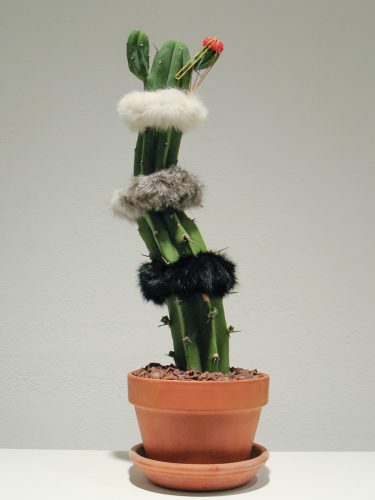 In this installation, I have taken the liberty of “overgrafting” multiple types of cacti and have included elements such as my own hair, the fur of rabbits, bird feathers and dead cactus spikes. Special thanks to Espen Gangvik of Teks Trondheim Electronic Arts Centre, for supporting this project at the Hybrids Matchmaking exhibition in Trondheim, Norway, 2008. 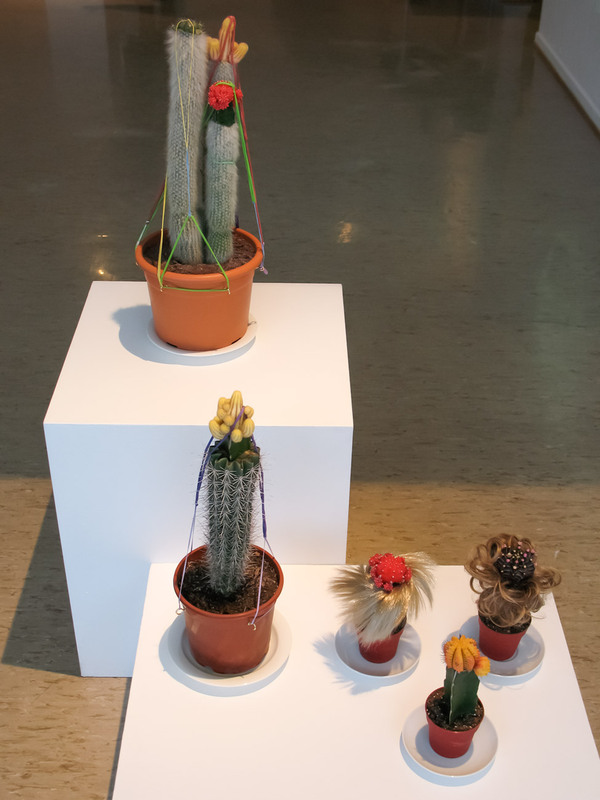 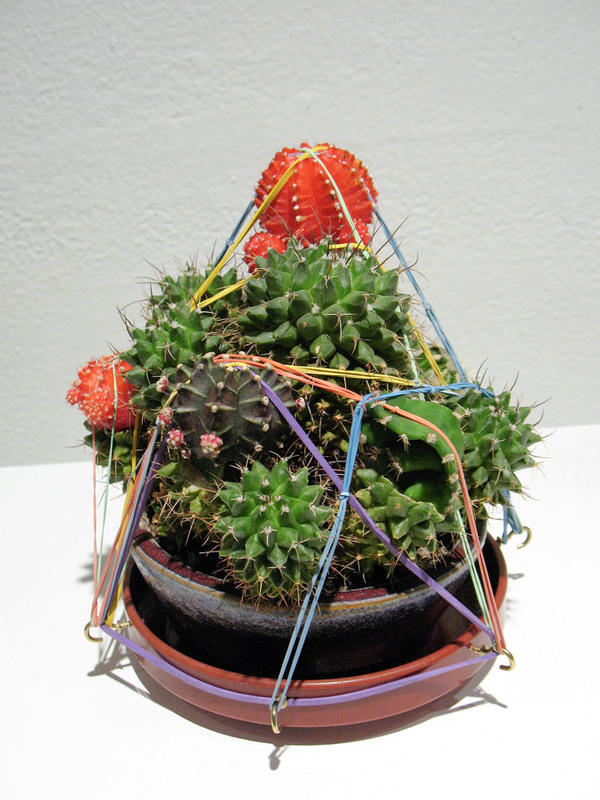 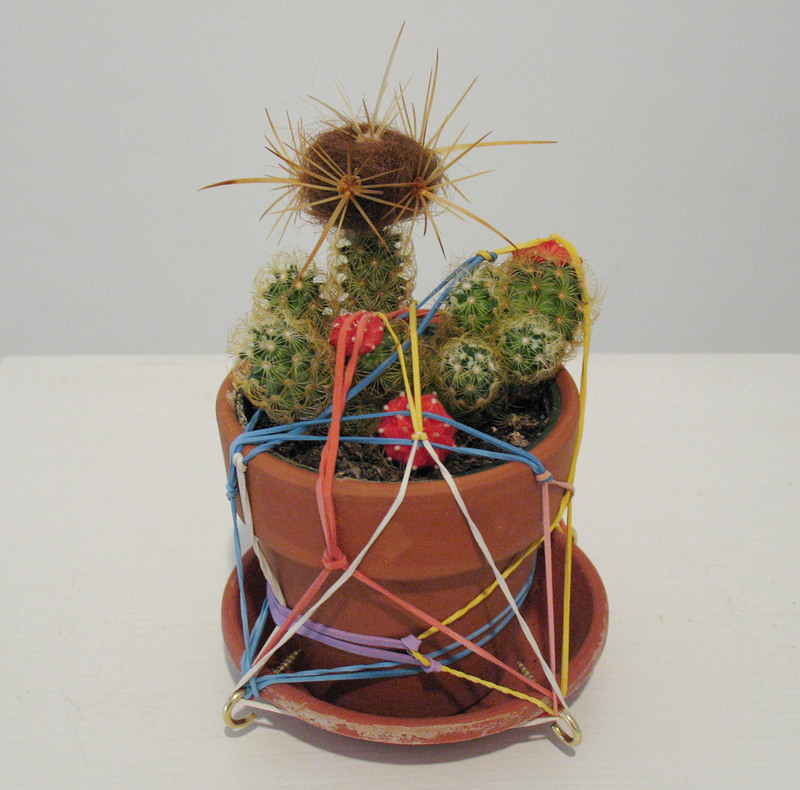 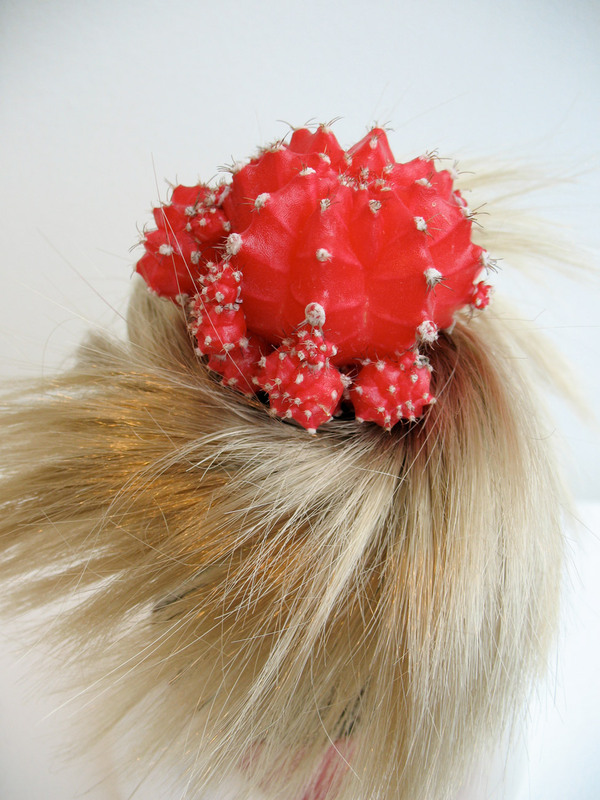 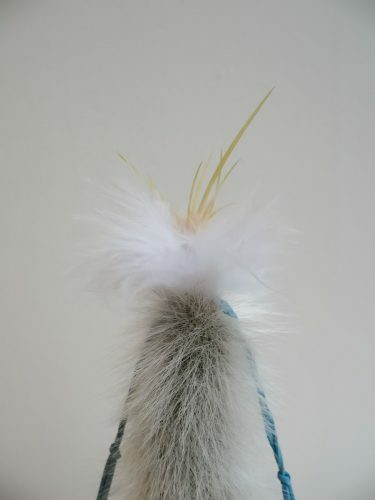 Materials live grafted cacti with feathers, rabbit fur, real and fake human hair, fake eyelashes and rubber bands.